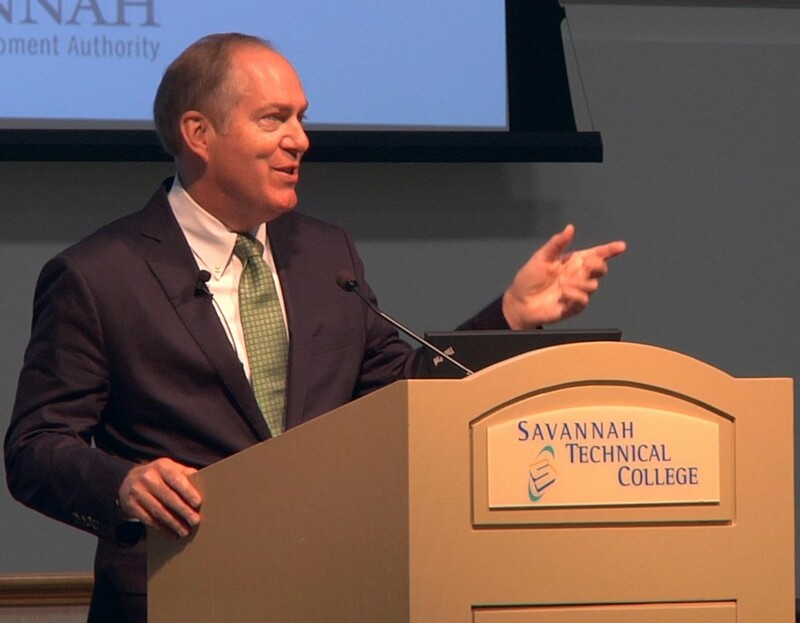 The 2014 Savannah Critical Issues Forum, Building the Best Downtowns in America, was held October 8 at the Savannah Technical College. Presented in partnership with the Savannah Area Chamber of Commerce and the Savannah Economic Development Authority, this year’s forum featured keynote speaker Mayor Knox White of Greenville, South Carolina. Mayor White has detailed the remarkable transformation of that city in his book Reimagining Greenville: Building the Best Downtown in America. As mayor, White has the goal of making Greenville “the most beautiful and livable city in America.” Over the past forty years, Greenville has reinvented itself from a textile manufacturing city to a highly diversified and advanced manufacturing hub. Its once-beleaguered downtown is now brimming with street life, restaurants, retail, and residential communities. How did Greenville create a business-friendly environment, attract development and investment, and create such a vibrant and livable downtown? HunterMaclean attorney Harold Yellin moderated the forum. Mayor White was joined on stage by Brynn Grant, COO of of SEDA, and Joe Marinelli, President of Visit Savannah, who both took part in the Q&A session following Mayor White’s presentation. The event was covered by the press and generated the following articles: “Mayor Knox White of Greenville, SC Keynotes 2014 HunterMaclean Critical Issues Forum” by Savannah Morning News and “Case Study: Reimagining Our Downtown, How Greenville SC is Building One of the Best in America” by Georgia CEO.